“Now and then he is introduced into a Napoleonic play or a Napoleonic operetta, usually in the hackneyed rôle of the crafty Minister of Police, a sort of forerunner of Sherlock Holmes—for crude draftsmanship always confuses an inconspicuous part with a subordinate one. “Only one imaginative writer has seen this unique figure in its true proportions—Balzac, whose own greatness made it easy for him to recognize greatness in another. His comprehensive and at the same time penetrating genius, which enabled him to look behind the scenes as well as to contemplate what was presented to the spectators, unhesitatingly selected Fouché as, psychologically speaking, the most interesting person of the revolutionary and Napoleonic drama. Being accustomed, in his chemistry of the feelings, to regard all the passions, those styled heroic and those styled base, as elements of equal value; being wont to admire a finished criminal such as Vautrin no less ardently than a moral genius such as Louis Lambert; totally unconcerned whether an action was “good” or “bad”; content to register the potency of the doer’s will and the intensity of his emotions—it was only natural that Balzac should be attracted by Fouché, and should drag out from the shadows in which Fouché preferred to lurk this most despised and scorned among the men of the revolutionary and imperial epoch. 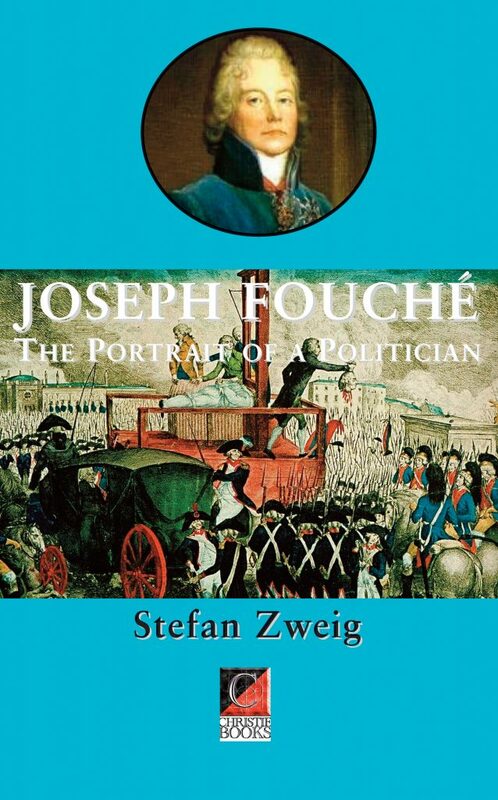 “He speaks of Fouché as “the only real minister of State” that Napoleon had among his servants. Fouché, he says, “is the ablest man I have ever come across.” Again, he dedares that Fouché “is one of those persons who have so many aspects, and so much depth beneath each aspect, that they are inscrutable in the moment of action and only become comprehensible long after the event.” This puts a very different complexion on the man than that put on him by the moralists who can only breathe contempt! “Thus wrote Balzac. It was his enthusiastic characterization that first directed my attention to Fouché, and for years I have been from time to time interested in one of whom Balzac said: “He had more power over men than even Napoleon.” But posthumously, even as when he was alive, Fouché has retained the art of concealment. He is equally unwilling to let you scan his face and look over his shoulder at his cards. Almost always, amid the tumult of events and the clamour of parties, Fouché’s activities, concealed by the anonymity of office, are as inconspicuous and as silent as that of the mainspring in a watch. Rarely do we catch a glimpse of his elusive profile. And there is something yet more strange than rarity about the glimpses we do catch! They do not tally, they do not seem to belong to the same person. It is hard to realize that one and the same individual, a man with the same skin and hair, was in 1790 a priestly schoolmaster, and by 1792 already a plunderer of the Church; was in 1793 a communist, five years later a multimillionaire, and ten years after that Duke of Otranto. But the more audacious I found his transformations, the more interesting to me became the character (or, once again, the lack of character) of this most perfect Machiavel of modern times; the more stimulating was his artfully concealed political life, the more did his figure loom unique and daimonic. Thus it was that, quite unexpectedly, and enthralled by a purely scientific delight, I found myself engaged in writing the story of Joseph Fouché as a contribution to a branch of biology hitherto unstudied but imperatively needed—the biology of diplomatists, who form a little understood but extremely dangerous variety of our human kind. “Such a biography of a thoroughly amoral personality, even though it be one so peculiar and so important as Joseph Fouché’s, runs counter, I know, to the unmistakable wishes of our time. What people want nowadays are heroic biographies; for our age, being so poor in politically creative leadership, seeks inspiration in the past. Not for a moment do I wish to underrate the importance of heroic biographies, to make light of their power to broaden the mind, to fortify the energies, and to uplift the spirit. Since the days of Plutarch, they have been indispensable to every rising generation, to each recurring cycle of new youth. But where our understanding of political life is concerned they have a dangerous tendency to falsify history, for it is doubtful whether persons of a dominant type are always and everywhere the makers of human destiny. Indubitably the hero, by the mere fact of his existence, controls the life of ideas for decades and even for centuries; but only the life of ideas. In the concrete realm, in the world of material realities, in the domain of political power, the pre-eminent figures, the men of ideas, rarely decide the issues. In that realm, in that world, in that domain, issues are chiefly decided (and let this be a warning against credulity! ) by persons of a far less valuable but more dexterous type—inconspicuous agents, moles who work beneath the surface of things. Alike in 1914 and in 1918 we learned to our cost that the issues of the war and the peace, issues of far-reaching historical significance, were not the outcome of exceptional intelligence and a high sense of responsibility, but were determined by obscure individuals of questionable character and endowed with little understanding. Again and again, since then, it has become apparent that in the equivocal and often rascally game of politics, to which with touching faith the nations continue to entrust their children and their future, the winners are not men of wide moral grasp and firm conviction, but those professional gamesters whom we style diplomatists—glib talkers with light fingers and a cold heart.